When by chance I found that Comet Over Hollywood was doing this blogathon there were a number of options I could have selected. Quite frankly, I was a little late in noticing that it existed so some good options that I also would have liked to have covered were taken. However, I don’t regret it because whenever possible I like to go a bit outside the norm. And choosing to discuss Jackie Searl (or Searle as he was occasionally credited) does that. The first thing that sets the selection apart is that he was rarely a leading player, more often he played in support. However, this year, somewhat in the spirit of my Neutron Star Award, I’ve had chance to find not only more range in his performances but also a rare early lead. 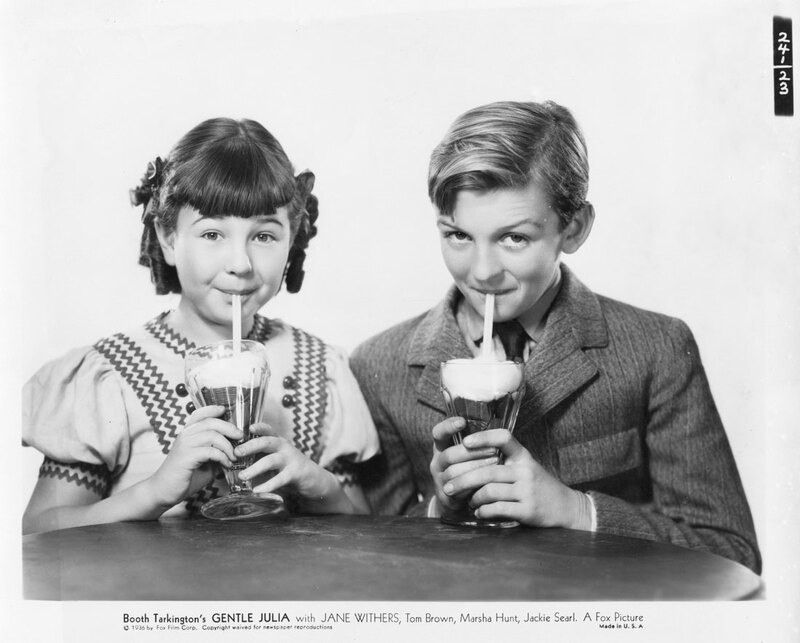 While Jackie had a long career as a character actor after a hiatus that allowed him to transition in the age range, he was frequently cast to his type. Yes, films type actors young and old alike. Realizing his range did hearken me back to something I heard Jack Lemmon say back on Inside the Actor’s Studio. He was recalling a conversation wherein he complained to his agent about the kinds of roles he was getting and being offered. “But I can do Shakespeare,” he protested. His agent responded simply and calmly “Yes, Jack, but other people are better at it.” That’s not to say actors shouldn’t take risks and directors haven’t done great things when casting against type, but typing happens for a reason and it’s usually because said actor is inordinately good at a particular task. With Searl, in his younger days, he was not only usually a heavy, a villain, but he had an innate ability to come off as smug and detestable, which is quite a higher calling than simply playing a villain. What reminded me of the the Lemmon story was when I saw him in earlier roles in Poverty Row titles. One in particular, which may go down as one of my favorite new discoveries of the year is Hearts of Humanity. Here he plays the affected child, suddenly orphaned, new to the States, who is the honorable one, who sets the example for his wayward, newly-adopted brother and sacrifices himself for him. The only thing off about him at all is his Irish accent, but that wasn’t uncommon back then. Not that Searl wasn’t adept at an accent. In fact, before I decided to do this focus on him I thought his playing American was putting on an accent not when he was playing British, which he did often. So in that film, and in other titles like One Year Later and High Gear, all of a sudden there was this complete other side to him. Granted the writing, such that it was, made him obviously perceived as a likable character, but he pulls it off with ease. Many mature, trained actors have issues not only shaking their persona but their perception. Searl was the pre-eminant, go-to jerk of the young actor set around this time (the early-to-mid-1930s). But playing the good kid was his “Shakespeare;” he was good at it but he was so much better at engendering an audience’s antipathy that he got those roles more often then not when the studio films came his way. Peck’s Bad Boy is another film wherein you see him in his more usual mold, whereas Jackie Cooper, being the lead is a more rounded character and has justifications for his actions; he’s merely antagonistic. In fact, in one of his first appearances, The Sins of the Children, his type was set as his sole purpose in playing the younger version of one of the main characters was to be bratty. Slightly different from those two, but still on the unlikable end of the spectrum, was his turn as the doltish false claimant to the title in Little Lord Fauntleroy. Of the films of his I’ve seen thus far he had one role of significant size that had an arc, and change of heart. In No Greater Glory he starts off in the vein you most often saw him: officious, haughty and bothersome. As events transpire, however, he softens. The maturation of the characters, as well as the message conveyed are among the things that make that particular film so powerful. That same year saw the release of A Wicked Woman, which implemented well his ability to cry and allowed him to play the victim. As he grew, parts that allowed him to show both sides of his ability came more frequently. In Little Tough Guy he does end up being a slimy type, but if you didn’t know who he was you’d buy the nice, rich kid act he pulls through the first few scenes, but slowly and surely he shows his character’s true colors. It may not be his most impressive turn, but there’s a confident ease to all he does that stands as a harbinger of the long-lasting ability to do character work that he found later on. The generation of young actors that graced the silver screen when sound was in its infancy was perhaps one of the deepest in movie history. If you follow the trajectory of a lot young performers, many of whom were usually relegated to supporting roles, you could really see just how gifted a lot of these actors are – the fact that a talent like Searl’s was usually utilized as a supplement is testament to that, but it does not make his work any less effective or memorable. I wasn’t very familiar with Jackie Searl and am very happy you spotlighted his career. That quote by Jack Lemmon is very interesting! Makes you think of typecasting in a whole new light. I couldn’t comment on his bit in “My Little Chickadee” because I only saw it once long ago and no longer have that DVD set. Sadly because I love that. Mae West and WC Fields, you can’t go wrong. “Hearts of Humanity,” “One Year Later,” “Little Tough Guy” and “High Gear” can be legally downloaded at http://www.archive.org/ by just searching the title. 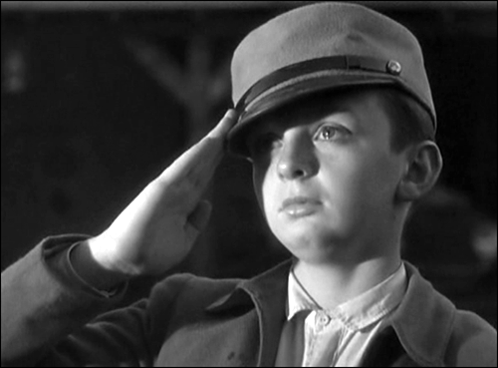 “No Greater Glory” is available thru Warner Archive. “Little Lord Fauntleroy” just got a new restoration/blu-ray from Kino. Ah – I knew the face, but not the name. And it was an unforgettable face. Thanks for an interesting article on Jackie. Thank you for reading and commenting. I considered mentioning that very fact based on the parts he played it’s likely many have seen him but don’t know his name. No worries because now you have and it’s one of the reasons I was very glad the idea came to me. Playing the heavy can be thankless especially when you’re so good at it so I was more than glad to highlight his participations both for those who have seen him & didn’t realize and those who have not. This is a wonderful post, thank you. I love the quote from Jack Lemmon, I guess I had never considered typecasting in this light before. Yes, sometime you just need to hear things put in the proper perspective. Clearly there are many sides to everything. Some actors, especially when they get much older, can fall into self-parody but if the parts are right and the film is as well there have been many actors who’ve done great things in a similar milieu. I don’t think people ever discuss Jack Nicholson as having the widest range, but who doesn’t love him? The reason is he seems to be fairly selective about what films he will do, especially now, and he always fits the role. Some fall outside what he’s usually doing, but none seem ill-fitting, ever. Wonderful selection! I love watching Jackie Searl. A great boon to all of the movies in which he was featured. I agree. Sometimes it can be far too easy, I was guilty of this when I was younger, to confuse the feelings you have for a character with the actor himself. Jackie had the the privilege of portraying some of the most despicable kids on celluloid and the the fact that they were so is a testament to his performance. It’s a further testament when you contrast it with roles he got when he was younger and people didn’t know the name or even the face. People love a good villain, but this usually comes with age and it’s one of the types that doesn’t get enough examination. He’s been afforded wide-ranging roles but I think whenever Jason Isaacs is given a villainous character now he always works wonders with it. I wasn’t very familiar with Jackie, either. Thanks for making me know more about him! It’s surprising for a child actor to always be the despicable character. This only shows a very big talent, as much as typecasting may be bad. He usually was, most films that dealt with kids some kind of counterpoint. What really made it an obvious pick for me was when I saw him play other kinds of characters (most are linked to in my first reply) when he was younger and older, but yes quite talented indeed. I plan on checking out all the submissions before the long weekend is over. Thanks for reading mine and for the comment. Thanks for the peek at this interesting young man. He was definitely a “that guy” actor for me. Thanks for shining the spotlight on him! But seriously, I did need to revisit one of those appearances just because it was before I knew he was so I forgot about it. Great choice, fun actor! I have got to hunt down some of those Poverty Row titles that show the other side of Jackie, because I’m only familiar with him in those Peck’s Bad Boy/Little Lord Fauntleroy types of brat that he does so well. I got a kick out him recently in No Greater Glory–though I had a hard time buying his having turned a new leaf when he returned to the gang. There was a little gleam in his eye that I was probably reading into his character myself from having seem him be so bad in everything else! Nice to know he got to play a few sympathetic parts too, thanks for pointing to them. Enjoyed the post! You’re quite welcome. I believe that the Poverty Row titles are also available on DVD, but you can definitely find them on http://www.archive.org/ by searching the title. As for “No Greater Glory” if I recall it correctly the seed of doubt was likely intentional at least some of the way. Thanks for reading and commenting!